short girl, long island. 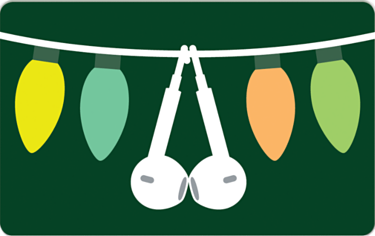 : Giveaway, Day Nine: $25 iTunes Gift Card. CLOSED. Giveaway, Day Nine: $25 iTunes Gift Card. CLOSED. Sorry this is up so late - I babysat four of my little cousins last night for ten hours [they stayed up the entire time], so after work today, I passed out. Good things come to those who wait, though! The latest gift is actually from Joey, a follower of short girl, long island. He has graciously donated two iTunes gift cards - one is up for grabs now + you'll see the other one later this month. Enter the contest below - if you've missed any giveaways so far, you can enter them all here. Dude! There are always so many songs that I want to buy! It would probably be some early 90s pop music for the gym. A new tv show series! Or wait maybe some music..I need both! A few albums I've been eyeing! i'd buy...drumroll please...music. but i might gift out a few songs, i love how you can purchase songs for other people via itunes! Definitely going to get anything by King Charles. Someone put them on a mix for me and I can't get enough. I'd buy Muse's new album. I would give it to my son to purchase some music! I would buy lots of nerdy books! Giveaway, Day 30: Bracelets by Cindi. Giveaway, Day 29: Dianna Hansson. CLOSED. Giveaway, Day 28: Karmaloop. CLOSED. Giveaway, Day 27: Six Months of Ad Space. CLOSED. Teach Me Something Thursday, Volume Seventeen. Giveaway, Day 26: Shwings. CLOSED. Giveaway, Day 25: The Sapphire Bee. CLOSED. Giveaway, Day 24: MerCurios. CLOSED. Giveaway, Day 23: Nerd Craft Librarian. CLOSED. Giveaway, Day 22: iTunes. CLOSED. Giveaway, Day 21: Weekdāzed. CLOSED. Giveaway, Day 20: Starbucks. CLOSED. Teach Me Something Thursday, Volume Sixteen. Giveaway, Day 19: Kouture. CLOSED. Giveaway, Day 18: Bracelets By Cindi. CLOSED. Giveaway, Day 17: Moonlit Glass Jewelry. CLOSED. Another Reason to Love Cards Against Humanity. Giveaway, Day 16: Pegasus Star Party. CLOSED. Giveaway, Day 15: Coffee + Cardigans. CLOSED. Giveaway, Day 14: The Sapphire Bee. CLOSED. Giveaway, Day 13: Chobani Yogurt. CLOSED. Teach Me Something Thursday, Volume Fifteen. Giveaway, Day 12: Castellammare Designs. CLOSED. Giveaway, Day Eleven: Weekdāzed. CLOSED. Giveaway, Day Ten: 3 Months of Ad Space. CLOSED. Giveaway, Day Eight: Bracelets by Cindi. CLOSED. Giveaway, Day Seven: SerendipiTea. CLOSED. Giveaway, Day Six: Kouture. CLOSED. Teach Me Something Thursday, Volume Fourteen. Giveaway, Day Five: Shybiker. CLOSED. Giveaway, Day Four: The Sapphire Bee. CLOSED. Win a $5,000 Karmaloop Shopping Spree! Giveaway, Day Three: Forward From The Heart. Giveaway, Day Two: Grrfeisty. CLOSED. Getting in the Holiday Spirit. Giveaway, Day One: Weekdāzed. CLOSED.